Flash-based storage has lots to offer in terms of performance and power efficiency. In addition, flash-based storage has the ability to support your virtualized cloud environments, client virtualization, business analytic applications, online transaction procession and other demanding applications. So how can you leverage the right flash storage for your needs in your data center? 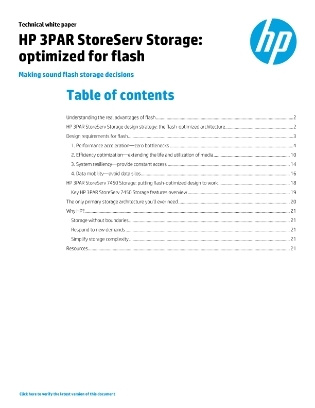 Access this exclusive white paper to find out how HP’s flash-based storage design differs from other vendors, its technical details and advantages.